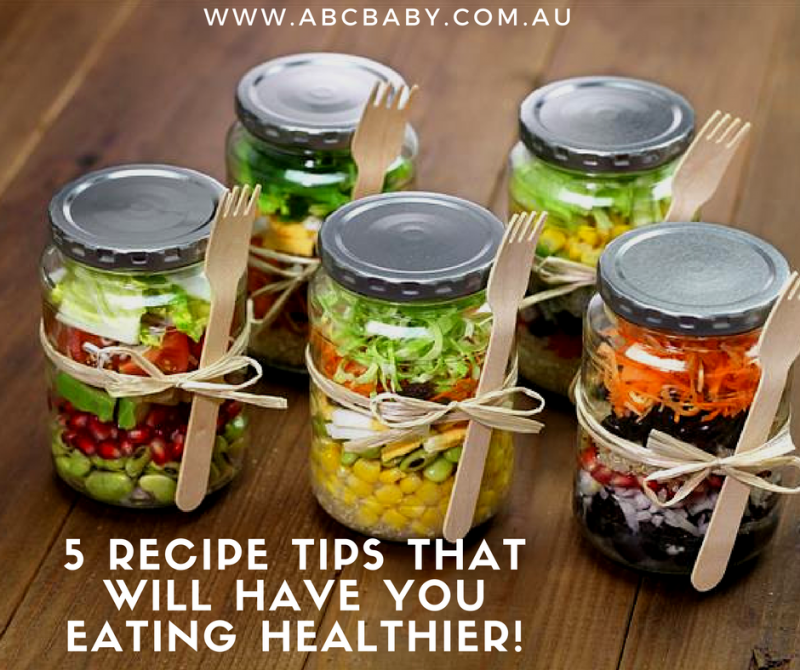 5 Recipe Tips That Will Have You Eating Healthier! Eating healthy doesn’t have to be difficult. These healthy eating tricks are a great way to eat healthier without even realising it. A few substitutions and a little planning ahead can completely change the way you eat, for the better. Turn fruit into healthy crisps Turn fruit into crisps like these pear crisps from Charlottes Lively Kitchen. This works well with fruits like pears and apples, or even root vegetables like carrots, sweet potato and beetroot. Make noddles from zucchini Instead of using noodles or pasta, make noodles (or zoodles) from zucchini using a spiraliser, like these stir fry zucchini noodles from Diet Hood. You could also try spirilising vegetables like carrot or sweet potato. Use your slow cooker to make bulk batches of soup We all have those nights when we don’t feel like cooking. Rather than head out for takeaway, use your slow cooker to make healthy soup like this slow cooker butternut squash soup from Gimme Some Oven and freeze in individual portions. Then you always have a healthy dinner in hand for those busy nights. Turn apple slices into donuts Cut a big apple into slices, spread with peanut butter or cream cheese and sprinkle with your favourite topping to decorate, just like these donut apples from Babble. The are so much healthier than donuts, but just as much fun. Swap a burger bun for lettuce Next time you make burgers, swap the bread burger buns for lettuce leaves, just like these lettuce burgers from I Quit Sugar. You can also try this healthy trick to substitute other foods like flour wraps or taco shells. $10.00 Chorizo & Sweet Potato Pasta! 10 Awesome Elf On The Shelf Ideas To Try This Christmas! 10 Cakes That Will Get you Baking This Christmas!